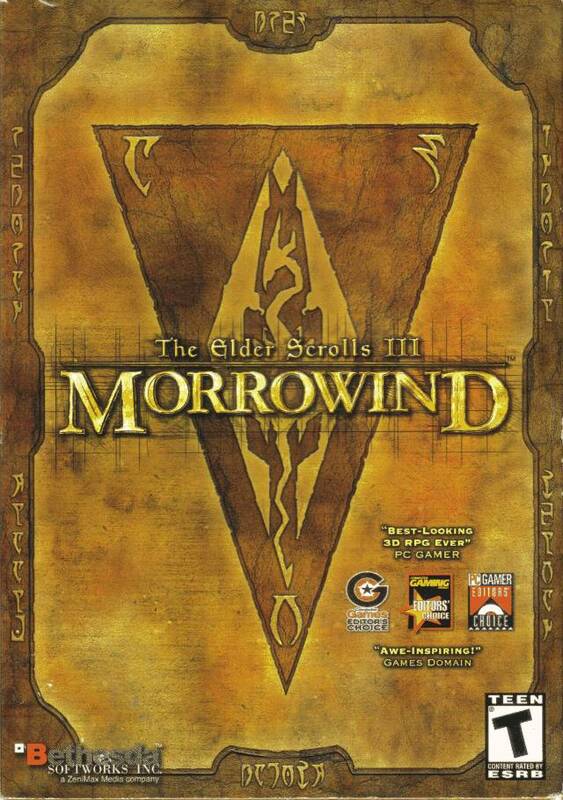 GB: How is development coming along with Morrowind? What areas of the game are currently being worked on, and what areas are still left before the game is finished? Pete: The game is coming along great. All we are working on now is testing and fine-tuning the game. We spend a lot of time playing the game, comparing notes on gameplay balance... wash, rinse, repeat. GB: You've stated that there will be many side quests available in the game. If a person does as many of these as he can, how many hours of gameplay do you think a player will get out of the game? Are any of these quests time-based, or can a person go through the game at their leisure? Pete: Actually, that's kind of a tough question to answer. A safe answer is hundreds. How many hundreds? Several. There are a lot of people testing all different parts of the game, but nobody that's sitting down to play them all at once. It's just too big, and so doing so would be impractical. Plus, the quests aren't all generic quests. Some will be more appealing to fighter characters, while others will appeal to mages or thieves. A few of the quests are time-basedm but in general we stay away from that unless the fiction of a quest really needs it. We want you to have to make choices in the game, but we don't want you to lose the chance to experience anything because of time. GB: Can you give us some idea of how large the bigger cities will be in the game? Additionally, will there be an auto-map feature to help players navigate some of the larger areas? If so, can the player add notes to the map? Pete: There is an auto-map feature. It shows you your immediate surroundings, and you can hit a key to see a world map with your location on it. Both maps use a "fog of war" effect that blacks out any areas you haven't discovered. On the local map, you can see any entrances to other locations (doors, steps to other levels, etc) and by moving your mouse over each icon, you can see where it leads to. It makes it easy to find a house you're looking for, or the door out if you're lost in a dungeon. The world map helps you navigate through the wilderness if you're trying to make your way to a certain location. The map that ships with the game is also very helpful, not to mention that it looks amazing. GB: Is there a cap to the number of levels or the amount of skill a character can possess? For example, if a player takes the time to do whatever he can to raise his Sneak skill, will he eventually not be able to gain anymore? Pete: We place caps on how high you can raise your eight attributes (ie, Strength) and your 27 skills. They are all capped at 100, although you can have skills and attributes with more than 100 due to modifiers like magical effects. There is no cap on your level. GB: You've mentioned in the past that each race will get unique special powers, such as the Imperial's "Voice of the Emperor". Can you tell us some more about these powers and what some of them actually do? Pete: Powers are basically free magic spells that you can use once a day. So, you can use Voice of the Emperor once a day, and it bumps the target's disposition WAY up, so that somebody who doesn't like you enough to tell you something will, for a short while, tell you anything you want to know. Another cool example is the Wood Elf's "Beast Tongue", which lets you command a creature to follow you and fight with you. GB: There are three popular RPGs currently in development that will include an editor allowing players to modify many aspects of the game: Dungeon Siege, Morrowind, and Neverwinter Nights. How do you feel The Elder Scrolls Construction Kit will stand up to the customization of the other two games? Pete: I think the TES Construction Set ranks up there with the best editors of all time in terms of its easy-of-use and how much it can do. People are really going to be stunned when they get their hands on this thing and realize just how much it can do. The ability to change literally any part of the game, and create plug-ins that work with your existing game(s), is really amazing. We're just as proud of the TES Construction Set as we are of Morrowind. I'd like to say thanks to everyone at Bethesda, especially Pete, for taking the time to answer our questions. We hope you enjoyed reading their answers.